Jimmy Biala is a professional music educator and performer. He teaches Brazilian percussion music programs to youth and adult students in San Jose, California, and performs regularly with the James Robinson Ensemble and with the Sound and Social Justice Collective. He has a strong passion for the style of Brazilian music known as escola de samba and has performed in China, Taiwan, Germany, France, Canada and the United States. Biala has received an award from Downbeat magazine for excellence in jazz recording and performance. He was the recipient of a 2002 Artist in Communities Grant from the California Arts Council and a Meet the Composer commission grant in 2004. From 2005-2007, he lived in Taiwan as part of a special residency commission teaching Brazilian percussion to Taiwanese Aboriginal youth and adult students. 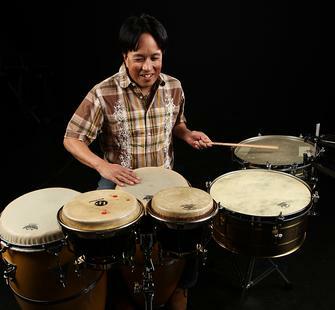 He currently teaches and directs a Brazilian percussion music ensemble based in San Jose called Bloco Del Sol, teaches classes at several Bay Area schools, and is a faculty member at the California Brazil Camp and San Jose Jazz Camp, as well as a member of Montalvo's Teaching Artist Program.